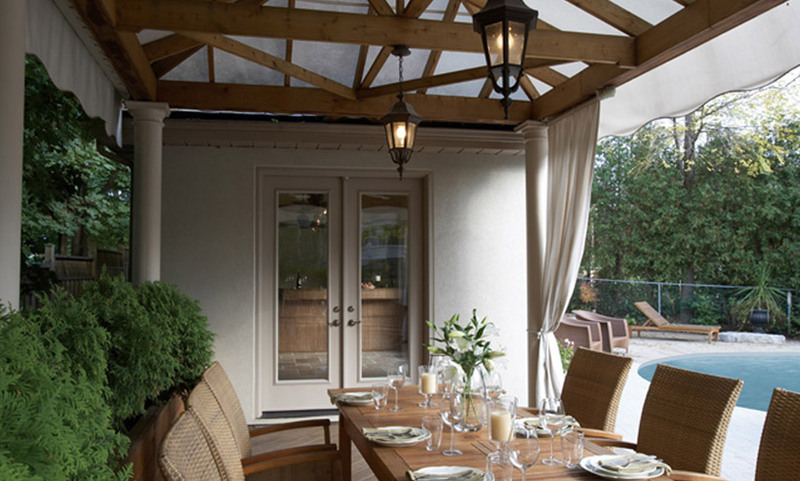 Garden doors offer so many custom options - create elegance, openness, and to let the light in. Garden doors are a great option when replacing existing patio door configurations, they are an excellent choice if you are looking for a classic look from both inside and outside your home. We specialize in Dimensions Door and Dorplex Door residential replacement door products. These outstanding secure performance garden doors are maintenance-free and available in an almost unlimited assortment of colours, styles, hardware, door glass options to meet your unique custom garden door requirements. Come talk to our knowledgeable door experts, we can help you sort through the colours and options to find the garden door solution that's just right for you. What's to know about doors? Garden door vs sliding patio door - what's right for you? - Coming soon! 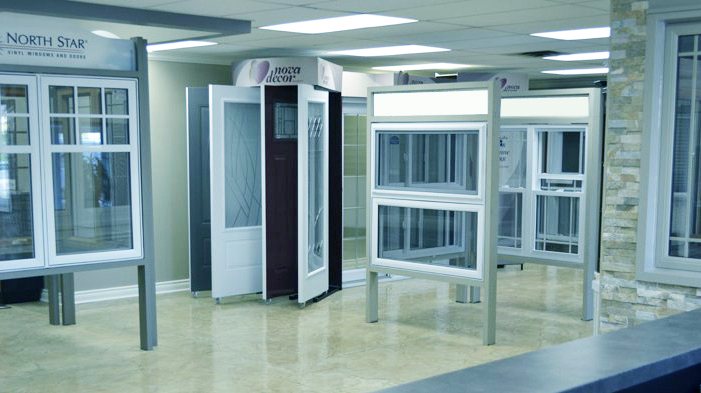 Dimensions Doors has been innovating for nearly 30 years now. Our unparalleled expertise, experience and service is delivered to you through reliable distributors throughout Eastern Canada. We manufacture a wide range of more standard products, and also specializes in custom-made products. With state-of-the-art equipment, anything is possible. Dorplex is more than elegance and style. For close to thirty years, Dorplex has been about the high quality materials we use to manufacture our products. Whether it’s steel or fiberglass, Dorplex is quality with pride and passion. Your entranceway will give the outside world a sense of who you are. Feel free to let your creativity explore the endless possibilities available through Dorplex. 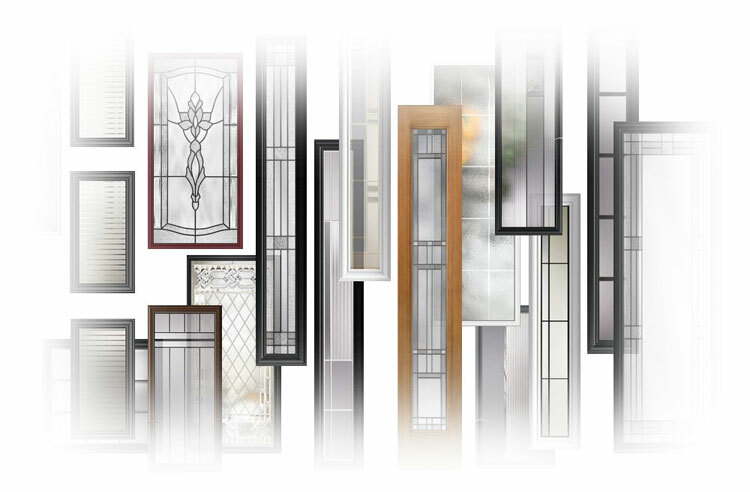 Choose from dozens of Dorplex decorative glass styles or the simplicity of traditional panelled door. This may be the last garden door your home will ever need. Brickmold comes in 1 5/8” and 2 1/8” to meet your measurement requirements. Durable door sweep is made with 10 fins to stop cold, wind and rain from entering your home. Lock block is 16 inches which will accommodate almost all hardware. Visit our door glass supplier partners and find a door-glass that matches exactly what you want. Better still, come visit us and our friendly knowledgeable personnel will help you find a perfect fit even faster. All of our garden door products are Energy Star approved, and many of our glass suppliers are as well. For more information on our suppliers, please visit respective links within the Features and Options section below. Using only premium quality installation materials, our full-time bonded installer teams provide prompt, clean, top-quality, detail-oriented installations and finishing and we guarantee our work with a lifetime limited warranty on labour and materials. Come visit our showroom in Richmond and talk to the friendly, knowledgeable staff. We’ll help you choose a solution that’s right for your specific needs, maximizing your aesthetic and budgetary requirements. Call for a free at-your home consult and quote. For your convenience we offer after-hours showroom appointments during the week and on weekends so you can see samples of our products.